... through space imagery. 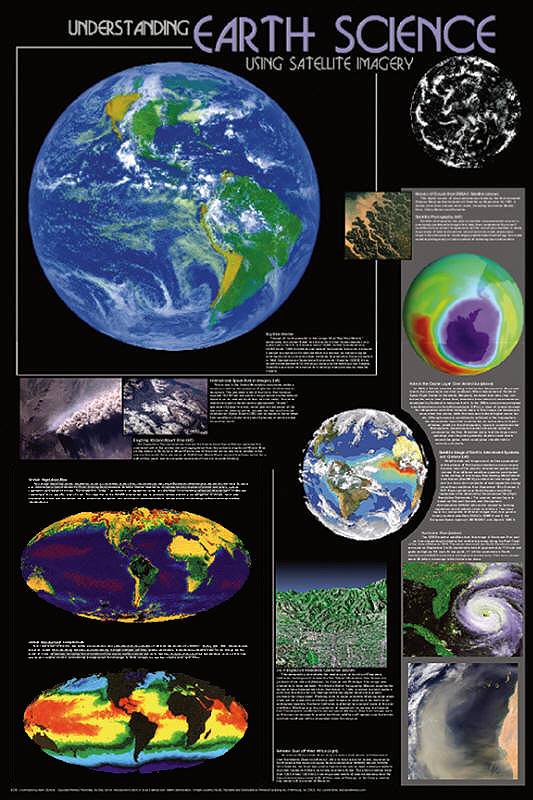 This poster explores some of the many ways that our knowledge of our own planet has been expanded greatly by using satellites. Topics include making topographical maps, weather forecasting, documenting environmental trends, tracking wildfires, and more.